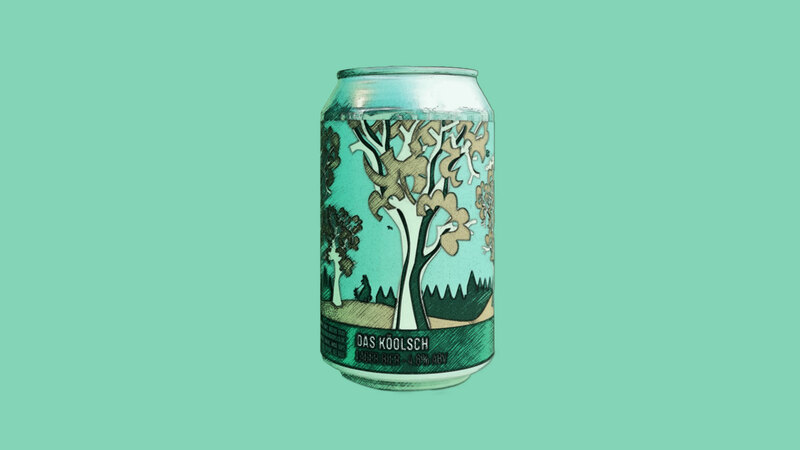 Here’s your cheat sheet for Das Köölsch by Howling Hops. I love a Kolsch. They’re lager-ale hybrid beers, crisp and refreshing but also soft and fruity. But as this one’s not brewed in Cologne, I guess it’s more ‘Kolsch-style’ than actual Kolsch. Featured in main subscriber box on 28 March 2019. Find Howling Hops on Twitter at @HowlingHops and on Instagram at @howlinghops. Serve this beer between 4°C and 7°C; stick it in the fridge for a good hour or so. The brewers say this beer has a “bready malt aroma with hints of noble hops”. This sounds to me like it’s going to be a pretty classic brew true to style. Some of the best German examples can have a subtle whiff of sulphur on the nose. Not sure if we’ll get that here. But look for a pretty lagerish beer with fruitiness at the end of each sip. The hop bitterness should be subtle and restrained. Keep to light dishes with clean and simple flavours. Let’s go for something springlike. Try it with a pea, mint and feta salad. Read more on this beer from BeerBods and Howling Hops. You can also check out some of the previous cheat sheets if you want to catch up on a beer from past weeks.